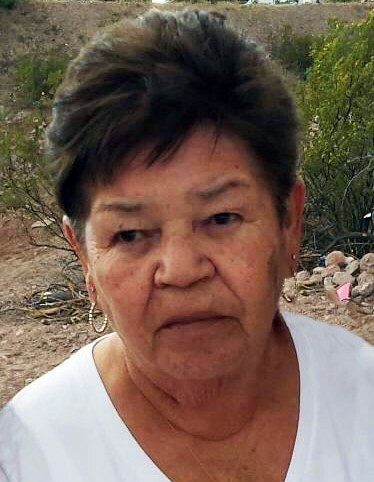 Julia Jaramillo Provencio, 77, of Clifton, unexpectedly passed away April 10, 2019 in Tucson, Arizona. She was born September 18, 1941 in Clifton, Arizona to Manuel Jaramillo & Severa Alcantar Jaramillo with siblings Jesus, Asuncion, Amelia, Susanna, Edward, Manuel, Ruben, Dolores, Robert and Thomas. Julia grew up in Clifton attending school there. On November 25, 1960 she married John Provencio, Jr. in Clifton and from this union 6 children were born; JoAnn, Jolene, John, Judy, Jackie and Janet. Julia worked as a custodian for the Clifton schools and in her spare time she enjoyed crocheting blankets, stockings, dolls etc., for her family and caring for her beloved pets Baby Girl and Sasha. She was a wonderful cook and passed that knowledge on to her children. The births and accomplishments of each of her children, grandchildren and great-grandchildren brought her much pride and enjoyment. Julia was known as a feisty lady. She told it like it was and never apologized for speaking her mind. Though she seemed hard at times, she was a lady full of love, especially for her family. She worried continually about every child she brought into this world. She prayed everyday for those she loved and made certain her children and their children knew the love of God, our Lord Jesus Christ, the Blessed Mother, and the angels and saints. Because of their mother, her children grew up with a strong belief in prayer and miracles; even knowing God always has a plan. Surrounded by her children, their spouses, her grandchildren and great-grandchildren, she took the hand of our Lord and entered God’s kingdom. Julia’s family is heartbroken. She will be greatly missed. She is survived by her children; JoAnn Provencio, Jolene (Joseph) Castañeda, John (Josie) Provencio, Judy (Marty) Martinez, Jackie (Eddie) Webb, Janet (Jesse) Chavarria and Joshua Provencio, her siblings Manuel, Edward, Ruben, Thomas and Robert Jaramillo, 24 grandchildren and 45 great-grandchildren. Julia was preceded in death by her loving husband John Provencio, Jr., her Godmother Raquel Mendoza, her parents Manuel and Severa Jaramillo, sisters Asuncion Roman, Susanna Gomez, Amelia Roybal and Dolores Saiz, her brother Jesus Jaramillo, her grandson Joseph David Provencio and her great-grandson Aidan John Provencio. 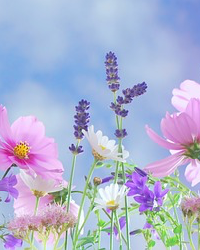 Recitation of the Rosary will be held on Monday, April 22, 2019 beginning at 9:00 a.m. followed by the Mass of Christian Burial at 10:00 a.m. at the Sacred Heart Parish in Clifton.